I went for Ipselenti again this year. If you'd like to know more about last year's you can see this post. 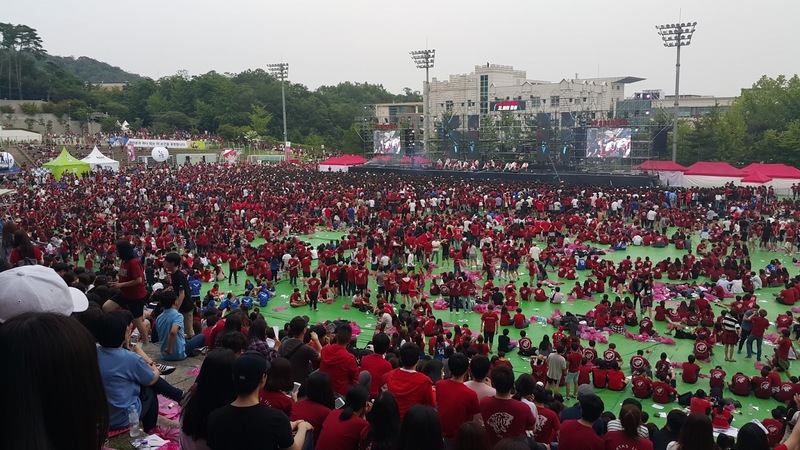 So anyway, the Universities in Korea have festivals that are held every year like the one in my school here and here. 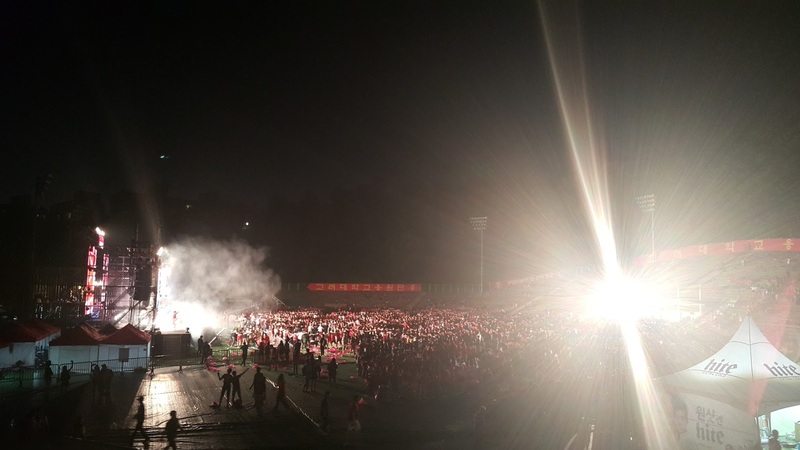 For many Universities, they have the festival with the concert on the last day of the festival within the campus where many different celebrities come down to sing for them. I, on the other hand, am not a big fan of K-Pop. What I really like, is school spirit, and school songs. 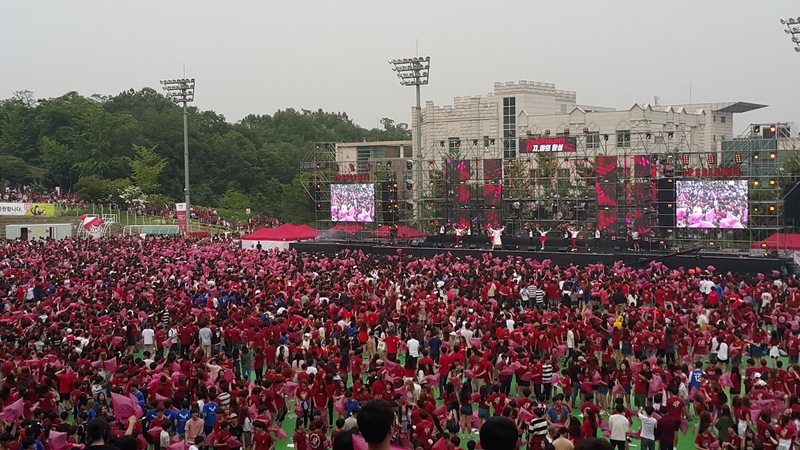 Yonsei and Korea University are the only 2 Universities (that I know of, at least) that have this school songs that they sing and cheer along. 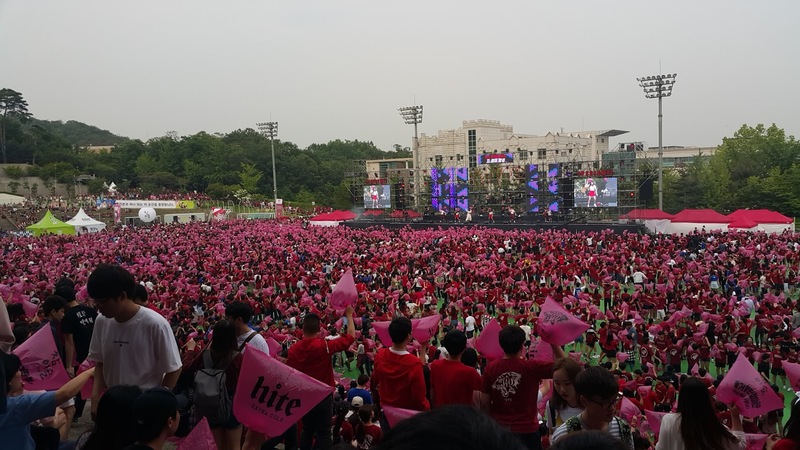 Yonsei's being Akaraka, and Korea's being Ipselenti. It's a magnificent time where they all gather together to sing the school cheers together and have a lot of fun playing. I added a video at the back so you can get a glimpse of what happens and how it does. Went this year with J, with the help of a friend who bought us tickets. However since it was a Friday night, J was gonna come late, so I went first to enjoy the entire thing before picking her up. (She was more interested in the celebrities coming rather than the school cheers anyway). The entire school was swarming with red (the school color) and the atmosphere was so energetic and exhilarating. I don't know why, but it really makes me feel comfortable and more at home. It was just like being back in St Andrew's, where we had the competitive spirit with ACS(I) and it was all about cheering and "fighting". 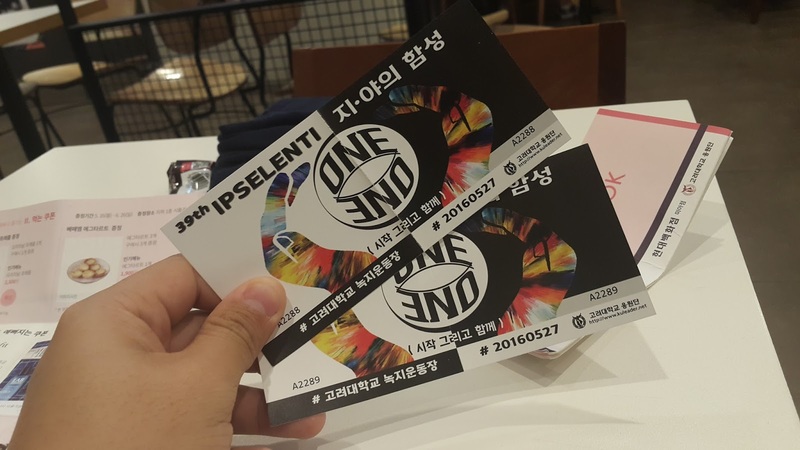 The funny part about Yonsei vs Korea is that, even with the "fighting" it was all in good fun and people from Yonsei know Korea's songs and people from Korea know Yonsei's songs. Anyhow, I didn't bring my camera like I did last year so be prepared for some normal looking photos taken by Samsung Galaxy Note 4. Lol. 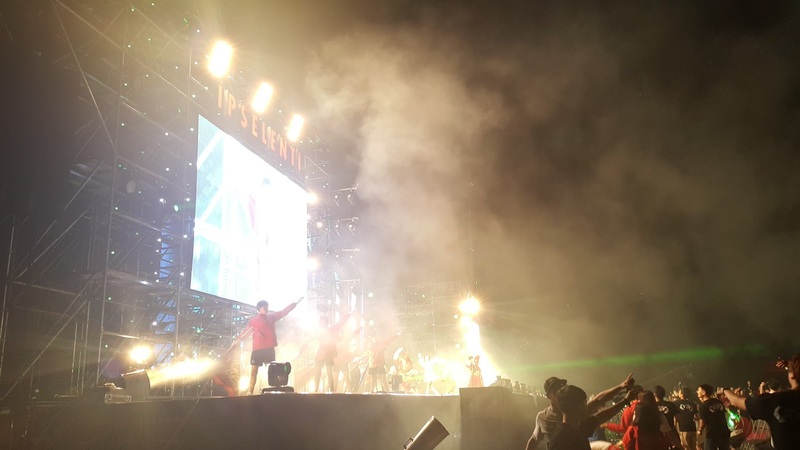 Honestly speaking I had a lot of fun, can't even remember which K-Pop stars came and didn't really care either... was there more for the school spirit. Enjoying every bit of university life here! Those who are looking to come to Korea to study, pick either Yonsei Univ or Korea Univ!!! You'll have the MOST fun here. Ended off the night with more school songs before it turned 11 and it was time to go... Till next year!